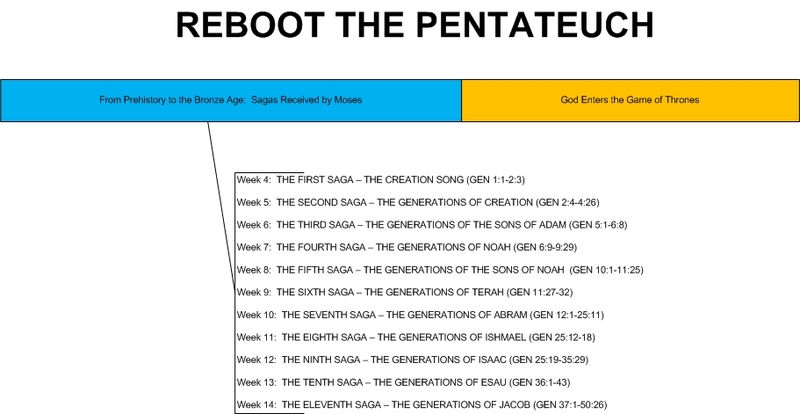 This is Part 8 of 20 in a series about the Pentateuch, the first five books of the Bible. In it we will explore the context of the book, specifically its relationship to the Egyptian culture of its day. It almost feels like cheating to consider this a post, because there is so little of interest in it. This saga tells us of the lineage of Terah, who is really only noteworthy in that he is the father of Jewish patriarch Abram. 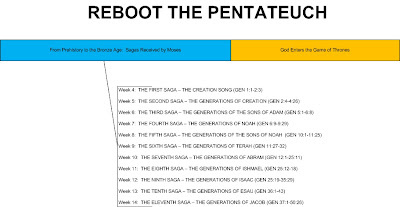 He is listed as tenth in line after Noah, but recall that in ancient Near East genealogies it was quite typical to list only ten generations between major connectors. So we do not know much of anything except how he serves as a connection of Noah to Abram. Terah is of little interest to me, because there is so little Biblical evidence about him. Jewish tradition held that he was an idol-maker but there is of course no evidence for this. We know that Terah lived in Ur with his family, and there at least we have a little something to discuss, if only as a contextual backdrop for the story of Abram next week. Ur (Urim in Sumeria) is a place we actually know a fair amount about, thanks to a wealth of cuneiform documents from about the time of Abram. It was located in modern Iraq, at the time being located on the Euphrates. Even while Egypt was the most powerful kingdom in the world, Ur remained the largest city in the world during this period of Genesis, with an estimated population of around 65,000 people. However, about the time of Abraham the area was struck by a major drought about 2000 BC, which is somewhere in the realm of the dating of Abraham's life (2000-1600 BC). During this drought, 93% of the population moved out of the area. It becomes obvious later in Genesis that Abraham is quite wealthy when he leaves Ur. His leaving, then, could be one of the 93% leaving during this series of droughts, or it could be that he is leaving a much-smaller Ur a few centuries after the droughts. In Genesis, Ur is called Ur Kasdim, or "Ur of the Chaldees." The Chaldeans did not live in the area at the time of Abram, however, and thus he almost certainly would not have made that distinction. This distinction was added after 850 BC, when there were multiple "Urs" and the Chaldeans lived here (thus necessitating the distinction). Many powerful kings led the city-state of Ur during this time in the early Bronze Age. Houses were two-storied villas, often containing a dozen or more rooms, in which extended family would all live as well. The Royal Tombs show extraordinary splendor, and what archaeological evidence we do have suggests that Ur at the time of Terah and Abram was a major urban center in Mesopotamia, including many works of precious metals that had to have been imported from as far away as India. 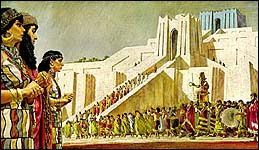 In addition, a major tower--the Ziggurat of Ur--was discovered in the 1930s. It was built in the 21st century BC, covering an area some half a mile wide by three-quarters of a mile long--or about 2x4 city blocks in New York City. This huge pyramid rose some 7 stories in the air, and some have identified this as either the Tower of Babel or a similar finding (of course this is without any evidence). This major temple was dedicated to the moon god Sin, and demonstrates the advanced architecture of this ancient city-state. What little we do know is that in Ur was a wealthy man named Terah. Terah had a son, Abram, who will be a major player in the history of the world--arguably the most influential man in history not named Jesus.